Biometrics is the science that analyzes biological data and also the technology that measures biological data. Biometric systems make identification or identity verification by using measurable, distinctive physical and behavioral properties of humans. The most widely used biometrics techniques rely on finger prints, palm, hand geometry, iris, retina, face, ear shape, vein, signature, hand writing and voice identification of an individual. Iris identification systems and retina identification systems are the most accurate and reliable identifying techniques. Iris is a circular structure surrounding the pupil, which determines eye color. The iris is a very rich tissue and it has a unique texture. This texture is different for each individual and it will stay same throughout their lives. Iris identification systems use the mathematical pattern-identification algorithms and statistical methods on individuals’ captured iris images. Retina, similar to iris, is unique for each person and has an unchanging texture throughout the life, except for some side effects of diseases. Retina that is located in the back side of the eye is responsible for vision. The mesh of blood vessels in retina is very complicated and distinctive. In retina identification systems, firstly, infrared light is radiated into the eye and blood vessels create unique reflections of this light. Retina identification is used in many areas from security systems to medical applications. This study examines and presents similarities and differences between two ocular biometric systems which are iris identification systems and retina identification systems. Analysis has also been carried out suing the findings of this study.
.	Turhan C., Ceyhan, E., Sağıroğlu Ş., Biyometrik Sistemlerde Güvenlik Üzerine Bir İnceleme, www.iscturkey.org, access: 03.03.2016.
. Yalçın, N., Gürbüz, F., 2015. Biyometrik Güvenlik Sistemlerinin İncelenmesi, Düzce Üniversitesi Bilim ve Teknoloji Dergisi, cilt 3, no. 2, pp.
.	Elumalai, K., Kannan, M., 2011. Multimodal Authentication For High End Security, International Journal on Computer Science and Engineering (IJCSE), 3(2), 687-692.
.	Jain, K., Bolle, R., Pankanti, S., 1999. Biometrics: Personal identification in Networked Society, Springer Science and Business Media.
.	Ergen, B., Çalışkan, A., 2011. Biyometrik Sistemler ve El Tabanlı Biyometrik Tanıma Karakteristikleri, 6th International Advanced Technologies Symposium, Elazığ-Türkiye.
.	Jain, A.K., Ross, A., Prabhakar, S., 2004. An Introduction to Biometric identification, IEEE Transaction on Circuits and Systems for Video Technology, vol.14, no.1, pp.4-20.
. Şamlı, R., Yüksel, M. E., 2009. Biyometrik Güvenlik Sistemleri, Akademik Bilişim, Şanlıurfa-Türkiye.
. Liu, S., Silverman, M., 2001. A Practical Guide to Biometric Security Technology, IT Professional, vol. 3, no. 1, pp. 27-32.
. Unar, J., Senga, W., Abbasia, A., 2014. A Review of Biometric Technology Along with Trends and Prospects, Pattern identification, vol. 47, pp.2673-2688.
.	Monrose, F., Rubin, A., 1997. Authentication via Keystroke Dynamics, 4th ACM Conference on Computer and Communications Security, Switzerland, pp. 48-56.
.	Yücel, E. Işık, Renk ve Elektromanyetk Spektrum,http://www.akat.org/sizin_icin/elektromagnetik_tayf.pdf, access: 6.1.2016.
.	Alkoot, Fuad M., 2012. A Review On Advances In Iris identification Methods, International Journal of Computer Engineering Research, vol. 3(1), pp. 1-9, Kuwait.
.	Tasyapi Celebi A., Güllü, Kemal M., Ertürk, S., 2009. Low-complexity Iris identification Using One-bit Transform and Angular Radial Partitioning, 2009 IEEE 17th Signal Processing and Communications Applications Conference.
.	Daugman, J., 2003. Demodulation by Comlex-Valued Wavelets for Stochastic Pattern identification, Int. J. Wavelets, Multi-Res. and ınfo. Processing. 1(1): 1-17.
.	Daugman, J., Downing, C., 1995. Demodulation, Predictive Coding and Spatial Vision, J. Opt. Soc. Am. A 12: 641-660.
.	Sanchez-Avila, C., Sanchez-Reillo, R., 2002. Iris-Based Biometric identification Using Dyadic Wavelet Transform, IEEE Aerosp. Electron. Sys. Mag., 17:3-6.
.	Wildes, R., Asmuth, J., Green, G., Hsu, S., Kolczynski, R., Matey, J., McBride, S., 1996. A Machine-Vision System for Irıs identification, Mach. Vis. Applic., 9: 1-8.
.	Zhu, Y., Tan, T., Wang, Y., 2000. Biometric Personal identification Based On Iris Patterns, Int. Conf. Pattern identification, II:805-808.
.	Ma, L., 2003. Personal identification Based On Iris identification, Ph.D dissertation, China.
.	Jain, A., Ross, A., Nandakumar, K., İntroduction to Biometrics, https://books.google.com.tr/, access: 6.1.2016.
.	Wildes, R., 1994. A System for Automated Iris identification, 2nd IEEE Workshop Applicat. Comput. Vision, pp.121-128.
.	Jones, M. J., Guo, G., 2008. Iris Extraction Based on Intensity Gradient and Texture Difference, IEEE Workshop on Applications of Computer Vision Conference.
.	Ziauddin, S., Dailey M., 2010. Robust Iris Verification for Key Management, Pattern identification Letters, 31(9).
.	Perez, C. A., Aravena, C. M., Vallejos, J. I., Estevez, P. A., Held, C. M. 2010.Face and Iris Localization Using Templates Designed by Particle Swarm Optimization, Pattern identification Letters, 31(9): 857-868.
.	Lim, S., Lee, K., Byeon, O., Kim, T., 2001. Efficient Iris identification Through Improvement of Feature Vector and Classifier. ETRI J. 23(2): 1-70.
.	Boles, W., Boashash, B., 1998. A Human identification Technique Using Images of Iris and Wavelet Transform, IEEE Transaction on Signal Processing, 46(4). ISNAD Ulgen SONMEZ, Yesim . "Research on Retinal and Iris Identification Systems". 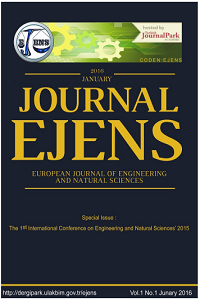 European Journal of Engineering and Natural Sciences 2 / 1 (February 2017): 167-180.